What's the best food and drink Cornwall has to offer? What’s the Best Food and Drink Cornwall Has to Offer? Cornwall has, quite rightly, developed a fine reputation over the last few years as the home of modern British cuisine. From world class wines to charcuterie to match the very best of Italy, Cornwall has become the #1 destination for foodies of all kinds. If you’re heading down there for one of our fantastic self-catered holidays then, what should you be on the lookout for? Well, we’re no strangers to the culinary and liquid delights down here, so we thought we’d share with you some of our favourites. Let’s get started. Located in the heart of St.Ives and also offering breath-taking panoramic views, Porthminster Kitchen has its own take on Cornish cuisine. They serve smaller plates and lighter options combining global flavours, local ingredients and creative cooking. With huge windows to take in the 180° view, this is a dining experience we are sure you won’t forget in a hurry. If you love the beach, and let’s be honest who doesn’t, a trip to Cornwall means you can dine on the beach whilst breathing in the fresh sea air, St Ives is a hot spot for alfresco and dining with a view. We recommend checking out the award winning Porthmeor Café, which not only offers delicious food all day, it also is located on the beautiful Porthmeor Beach. Or the Porthgwidden Beach Cafe and Porthminster Cafe both have beach side positions with stunning views and delicious award winning menus. 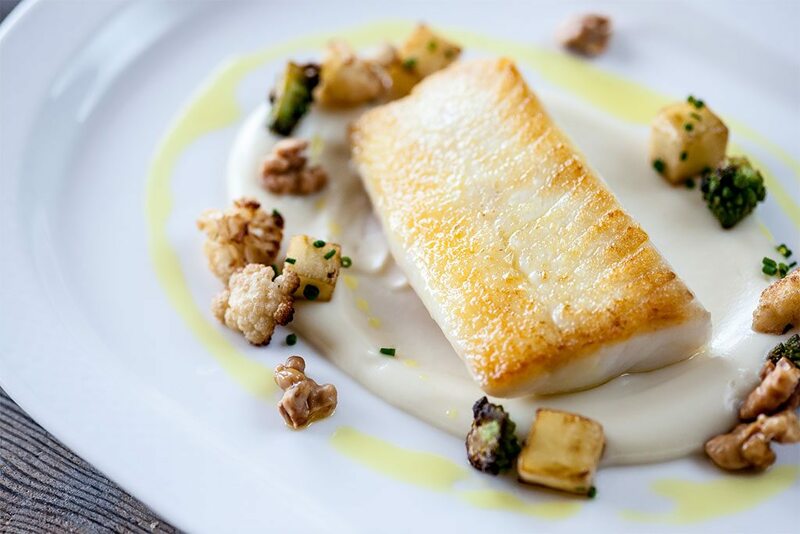 From Ben Tunnicliffe’s in Sennen Cove and Tolcarne Inn in Newlyn to Nathan Outlaw’s Fish Kitchen in Port Isaac and Rick Stein in Padstow, Porthleven and St Merryn, Cornwall has some of the best fish restaurants in the world. The reason for this is clear with Newlyn Harbour landing the fish daily the fish can be locally sourced and fresh, put this together with some of the best chefs in the business and you can understand why the taste is through the roof. Gin is back in a big way, and Cornwall is right at the forefront of the new gin revolution with lots of small producers providing a wide variety of flavours including one thatusing Clotted Cream in the process delivering a smooth finish. Tarquin’s Handcrafted Dry Gin, a contemporary take on the classic London Dry formula, using locally sourced handpicked violets and fresh orange zest. It even picked up gold at the San Francisco World Spirits competition in 2016! Perhaps Cornwall’s best kept culinary secret, Duchy Charcuterie are making some of the world’s finest cured meats – right in Redruth. From salami to lomos, Duchy are making truly delicious dried meats right under your noses. Swing by a local stockist and grab some along with a strong Cornish cheese and you’re in for an absolutely incredible treat. Cornish wine is a fast growing sector of the wine market, and with producers like Polgoon out there, we have no doubts why. After giving up their jobs as fish merchants, Kim and John Coulson decided to start a vineyard and orchard. Their first Rose in 2006 scooped awards, and they’ve only grown in stature since. Give their award winning Bacchus wine a try and you won’t go back. Get in touch to find out more about foodie holidays in Cornwall.